How do I configure Fake Webcam in ICQ? Click on 'Start a video call' icon from your message window. 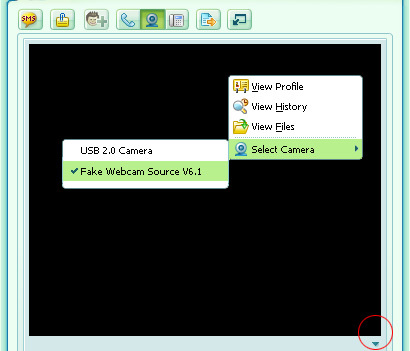 Click right button on video window, select 'Select Camera' and then select 'Fake Webcam Source V6.1'. You can do the same settings from the arrow button.